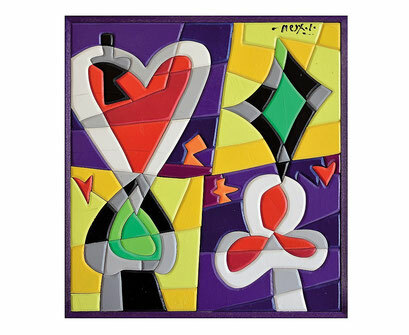 Ugo Nespolo was born near Biella in 1941. He studied at Accademia Albertina di Belle Arti of Turin. His career as an artist started in the 1960s and his work was influenced by Pop Art - which was becoming popular in Italy in those years - conceptual art, Arte Povera and Fluxus. He met and appreciated these movements during his frequent trips to the United States. After the first trip in 1967, he regularly visited the States, where he spent long periods especially during the 1980s. Ugo Nespolo worked in a broad range of disciplines, from painting and filmmaking to print and sculpture. An enduring friendship with Enrico Baj began in 60's, and Baj and Nespolo staged exhibitions and conferences and participated in events together in Europe and the USA. In 1967 Nespolo fell in love with movies and began making his own with great enthusiasm. For many years Baj, Lucio Fontana, Michelangelo Pistoletto, Alighiero Boetti and Mario Merz performed in the artist's films. Together with Baj, Nespolo spent time in Paris with Man Ray, who gave him a text for the film Revolving Doors, which Nespolo made in 1987. 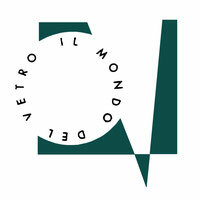 Nespolo’s films have been shown and discussed in prominent museums around the world. In France, the Centre Pompidou showed a series entitled “Nespolo – le cinema diagonal”. Nespolo is currently the greatest Italian authority on pataphysics. Together with Baj he founded the Istituto Patafisico Ticinese and is honored to have had his diploma signed by Raymond Quenau, who liked a little book of formal logic written by Nespolo and printed by the publisher Schwarz in 1968. He has exhibited widely in galleries and museums in Italy and around the world.